Also, on You are not allowed to view links. Register or Login to view. there are these plants. The one on top has a few things in common with VM You are not allowed to view links. Register or Login to view. . And the one in the bottom, is that some kind of oak-ivy thing going on there? I've looked at this MS a bit more and indeed it is very interesting. In style, it is perhaps one of the closest herbals I've seen so far to the VM, at least for a section of the plants. There's some overlap. This is what I mean for example, the Trinity plant has been mirrored for comparison. Even the number of sections in the root matches, but still the intended plant seems to be a different one. Very intriguing. Also, Don would have liked this herbal a lot I think, I've seen like a dozen plants with bird-shaped leaves already, some of them quite remarkable. Something which is also worth noting is that the text behaves very VM-like around the image. This is very clear in the image Wladimir posted above. As Koen wrote, the script seems terrible at first sight. Actually it is not so unreadable. Plant names are usually preceded by “Nom h'be” (nomen herbae, the name of the plant). 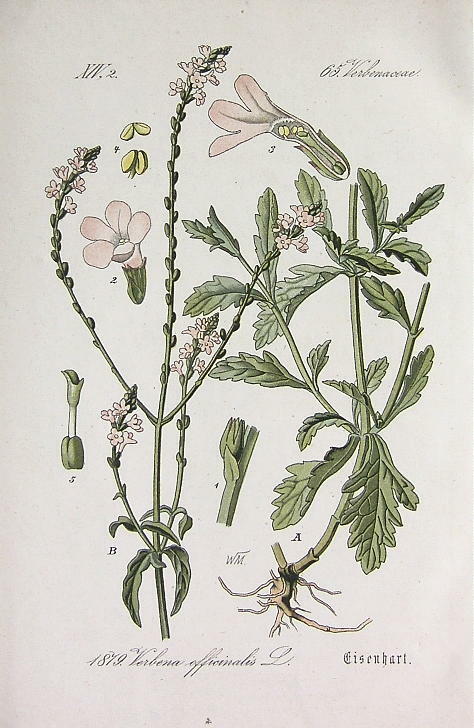 I could identify the plant in 43r (“thias pissiuemia”) as You are not allowed to view links. Register or Login to view., because I found it in You are not allowed to view links. Register or Login to view. (Thlaspis). Matthioli calls it “thlaspi” or “thlapsi”. Even such a slight distortion of the name makes it unfindable via google. As Rene wrote, this part of the herbal matches the “standard” Pseudo-Apuleius. I couldn't make much progress on the two plants in You are not allowed to view links. Register or Login to view.. The top one seems to be called “barthifos”, the second “lanatos” (“ahabar” in Greek). Thanks, Marco, I really appreciate it. Apparently you are the first person ever to write the word "barthifos" on the internet because it gives 0 hits. (27-04-2017, 10:24 AM)Koen Gh. Wrote: You are not allowed to view links. Register or Login to view. Thanks, Marco, I really appreciate it. Apparently you are the first person ever to write the word "barthifos" on the internet because it gives 0 hits. I only now realize that "thias pissi vemia" is from the origininal "Thlaspis sive mia" (in the You are not allowed to view links. Register or Login to view.). The Latin of this scribe must have been quite poor: misreading the l for an i can be understandable, but misinterpreting such a common word as sive is quite surprising. Name of the herb is barthifos - ?????? ebray?? = in Hebrew? it is called "landufi"?? So do they provide a Hebrew and "Tartar" translation and say it's from India or am I completely mistaken? Such a list of names from other cultures / languages is already common in much older manuscripts. in india nascens folia ? herbis formata ut manus una[rum?]" the [...] is an abbreviation for which I have no clue how to expand it. The primary names of the herbs in the part staring around f60 are quite mysterious, and I haven't yet any idea what kind of collection this is.